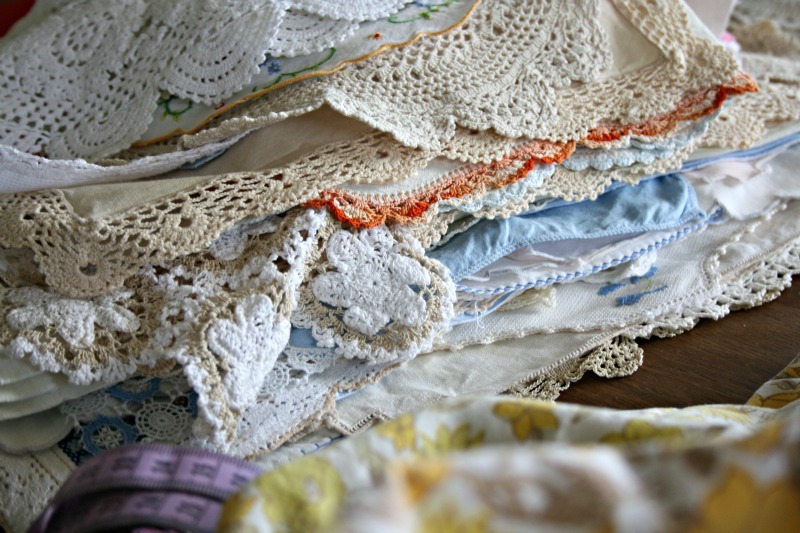 I had a rummage through my thrifted doily stash the other day and chose a bundle to stitch into some bunting. 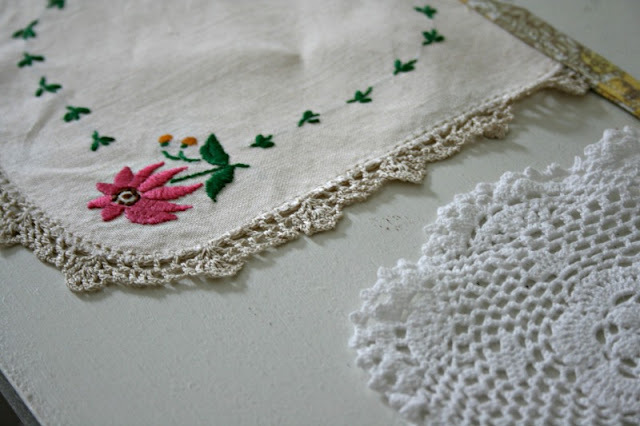 I don't think I'll ever become tired of the humble doily. So much potential or just perfect as is. 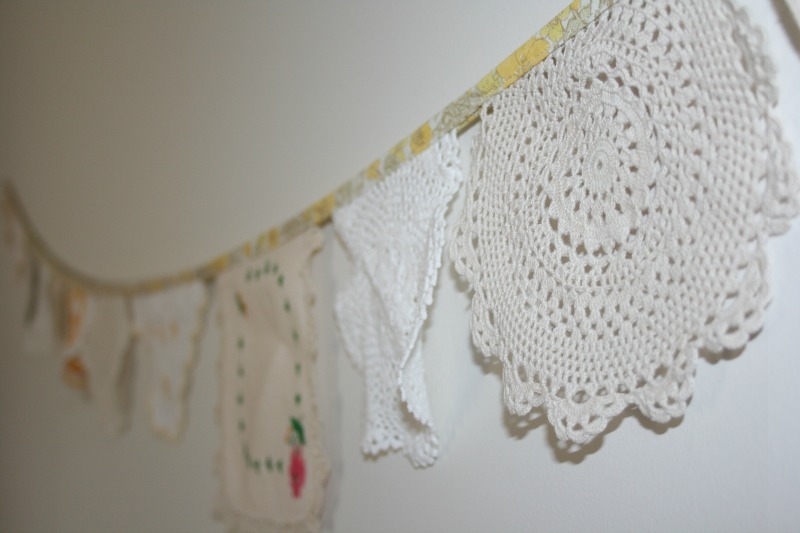 Do you like doily bunting too? This one needs a new home. Do you have some place to hang it? I am offering this bunting up as my 'craft it forward' gift. All you have to do is promise to craft something else forward. There is no looming due date by which you need to craft it forward. I received this beautiful cushion cover from Zara yonks ago as part of 'craft it forward'. Gosh I haven't said that for a very long time. Did you ever say 'yonks'..maybe you still do. All doilies have been collected on my op shopping adventures. The binding is made from a yellow floral sheet, also thrifted. It measures just short of 3m, so nice and long. Please let me know if you would like it. First in, wins. Such a lovely craft-it-forward gift. And a good way to enjoy all those pretty thrifted doilies. So pretty! Good job. Thanks so much for the little package you sent me! It was very exciting to come home to a little package :) I really wasn't expecting it!